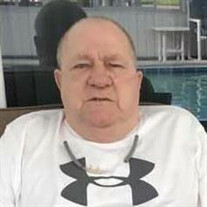 Donald E. &#8220;Doc&#8221; Thomas, age 72 of Glen Dale, WV passed away Tuesday, July 24, 2018 at his home surrounded by his loving family. At his request, no visitation or services will be held. The family of Donald "Doc" E. Thomas created this Life Tributes page to make it easy to share your memories.